Where the Fire Falls, by Karen Barnett - and Book Giveaway! In 1929, up-and-coming artist Olivia Rutherford is sent to Yosemite to paint watercolors for Scenic Magazine. After spending years cultivating her image as an avant-garde flapper, the last thing Olivia wants is to return to the national park where she grew up as poor Liv Rudd, daughter of an infamous murderer. Driven out of the ministry by scandal, Clark Johnson has taken refuge in Yosemite. Leading groups on backcountry mule trips allows him to forget his troubles and seek God’s will for his future – if only the Lord would speak. Clark isn’t thrilled about taking Olivia and her sophisticated friends on a tour, but as they get to know each other, Olivia’s genuine character and her wounds draw him. But when her past comes back, all their lives are in danger. Majestic scenery, intriguing characters, and a delicious romance combine in Where the Fire Falls. Karen Barnett‘s experience as a park ranger infuses the story with a rich sense of place, supported by historical research. But the story is what keeps you flipping pages, as the characters’ pasts collide. Rugged Clark is a swoon-worthy hero, and conflicted Olivia will steal your heart. Make some s’mores and savor this story! I ended up with two copies of this book – so I’m giving one away! Please leave a comment below to enter the giveaway. US mailing addresses only please. Giveaway ends July 12, 2018 at 10 pm Pacific Time. 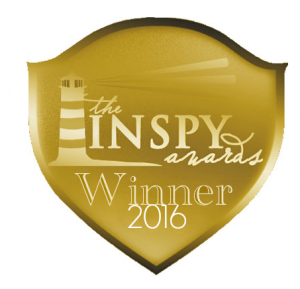 The winner will be announced here on July 13, 2018. I love her other book, The Road to Paradise!! I’m really glad you liked this one! I’ve been wanting to read this series. I loved her series about SanFrancisco. If you liked it, Sara, count me in! I love your books so if you recommend it, I would love to read it. I am a resident of the USA. Thank you for this giveaway,Sarah! This sounds like a wonderful,exciting story and would love to read it! (Always love and trust your book recommendations 🙂 ) Please count me in the giveaway,too! In the movie The Caine Mutiny, the young Naval Officer and his girlfriend go to Yosemite and there is a scene with the firefall. It is classic. Fortunately I saw the firefall once while traveling through Yosemite on my honeymoon in 1964. I had an immediate gut reaction when I saw this book cover. Can’t wait to read it. Sounds like a fun read and I absolutely love that cover. This looks amazing! I love the look of the cover. I’m a bit of a sucker for vintage travel posters. Sounds like a good read. July 12 is my 75th birthday, so great timing to win. She’s a new-to-me author but I’ve heard such great things about her books. Thanks for the giveaway! 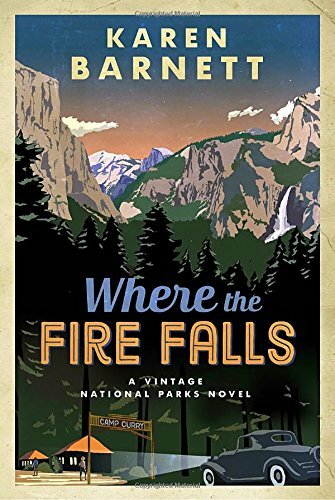 I enjoyed The Road to Paradise, and I am looking forward to Karen’s next national parks novel, Where the Fire Falls. Sounds like a great one! And not opposed to reading about a swoon worthy hero😉. Thanks for the chance to win it. I haven’t read any of the books in this series but a lot on Goodreads have . Looks interesting . Thanks for your generous giveaway. This isn’t a time period that has normally interested me, but it sounds like a great read! Would love to gift your copy to my daughter, who spent last summer in Yosemite, and hopes to work for the park service! Sounds so good !! Would love to win this !! Sounds intriguing! Thanks for sharing your extra copy! Also, thanks for all your WWII posts! Very interesting era. Anything that Sarah Sundlin recommends I’ll be good, I just know it. I grew taking day trips to Yosemite. I took it for granted. After being married a few years, I took my new husband there and saw it through his eyes. It changed everything. We love Yosemite and try to go there every summer. My family and I love visiting the National Parks. I’ve been eyeing these books since I first saw a recommendation from you a couple months ago. I’m currently reading Anchors in the Storm♡ Thank you for your intriguing stories, thorough research, interesting posts, and for introducing us to other great authors! This sounds like an amazing read, and it’s from an era that I find intriguing. I love the cover. It reminds me of the old Sunset Magazine covers of bygone years. The story sounds like a good read for summer when our minds turn to adventures in the outdoors! Last week I visited parks in Montana and it gave me pause thinking about our national treasures. Add a bit of mystery and I am all in! Looks like such a great read. Thanks for the chance to win it. Oh my goodness, Karen’s last book was one of my favorites last year! I LOVED it! It made me want to go outside and explore nature and climb mountains (which is big coming from someone who has never seen a mountain or been much of an outdoors person). I would love to win this new one, but even if I don’t, I am going to get myself a copy soon. Thanks for the chance Sarah! Our whole family camps in a NY State park every summer for a week and I always enjoy park adventures. This looks like a great read. Thanks for the chance to win Sarah. I am looking forward to your next book. This looks like a book I would enjoy! I have not read this author yet, but this series looks great! Thank you for the giveaway! Love stories in a National Park setting! Absolutely love the cover. It’s intriguing making you wonder what lies behind the picture. The summary of the story makes it even interesting. Thank you for this giveaway. It sounds like an amazing story waiting to capture you in. I’m new to this author, and I can’t wait to read her books. This story sounds great! I’ve recently reignited my love for our national parks so reading her stories will add so much. I think Karen is a new-to-me author, so thank you for the introduction. This story sounds awesome and I would love a chance to read the book. Would love to be a winner! Loving the vintage-looking cover and it sounds like a great read! Fantastic author, Karen Barnett’s book should be wonderful! If it’s half as good as The Road To Paradise I’ll be very happy and it will probably be even better! Fantastic author, Karen Barnett, wrote The Road to Paradise and it this second one is half as good it will be wonderful! This sounds so interesting, it’s already on my TBR list! Thanks for the chance at a copy! Fantastic author, Karen Barnett, wrote The Road to Paradise and if this second book is half as good it will be wonderful! Thanx for being generous!!!! Looks like a great summer read!!!! Oh this one sounds so good!! Need this book in my life! If your recommending the book I’m sure I would love it, because I love yours . We used to spend every summer in Yosemite so I would love to read it. I loved the first book in this series and I’ve been eagerly awaiting getting a copy of this this new book. Thanks so much for the chance to win this book. It looks really good. You had me at the cover & title…Now I am totally in great need to read immediately. This is a new author for me! The vintage cover looks very interesting! This sounds great. I love historical fiction. Thank you for the giveaway! I have been wanting to read this. Would love to read this. My family vacationed in Yosemite every year when I was growing up! This book is on my “to-read” list! Sounds like a good one. Thanks for the chance to read a new author. Congrats on the new book contract as well. Sounds like just my kind of story. I’ve had this one on my to-read list and would love to win a copy. Thanks for the opportunity. I have never read this author before. I would love a chance to check out a new series. Thank you. Thanks also for your books. 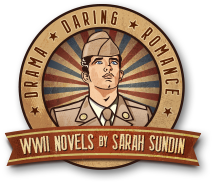 I didn’t like WWII fiction until I read yours. Keep up the good work! Thank you so much for this opportunity. It sounds like a great read! That cover looks awesome, and the story sounds really good. to doing so. I am excited about your next 3 books. this sounds very interesting! I love the stories & history from that era! The cover looks interesting! I’m not familiar with your books. I will check them out, hopefully winning one. Thank you. I would love to enter. Thanks for the giveaway! I love State Parks especially back when they were all still young, so I’m looking forward to reading this book! I would certainly love to read this one! Thank you for the opportunity. Wow! This sounds like a great story! I would love to read “Where the Fire Falls” by Karen Barnett. Sarah, Thank you for the opportunity to win a copy of the book. This sounds like a fascinating read! I’ll have to see if the author has written one about Glacier National Park, as that is near my home. Thanks for the giveaway. I would love to read this book!! Thanks for sharing your extra copy! This looks like a wonderful read. Sounds like a wonderful love story meets mystery to me. I think I would love to read this adventurous book to find out. Thanks for the chance at winning a copy. I have been to Yosemite a couple of times. It is absolutely beautiful! I would love to read Karen’s book! Thank you for the giveaway. I enjoy reading mysteries, and stories in the mountains! I would love the chance to win this book!!! My sister lives close to Yosemite…the beauty is astounding. This novel sounds wonderful. Can hardly wait to read it!! would love to win this book. Loved mysteries since I started reading. And love the mountains! I love getting to see national parks. It had been my parents dream to visit Glacier National Park. The Road to Paradise is in my TBR place. And I’d love to win Where the Fire Falls. Hope someday to see Yosemite National Park. The cover grabbed me for The Road to Paradise and the book did not disappoint. Hi Sarah! First and foremost, congratulations on your new book contract! I am so excited for you and to read your new novels, I’m certain they’ll be wonderful. Secondly, thank you for the opportunity to win this book. It sounds truly wonderful! I would love to read it, I’ve had it on my TBR list since I first saw the cover! Sounds like a great story. Thank you for recommending it and for the opportunity to possibly receive a copy! I live in Tennessee. I love visiting our national parks! Have been wanting to read this! This is a new author to me, so thank you for the introduction. I am looking forward to reading this book and have put it on my list of to read books! I started to read one of Karen Barnett’s books and need to read it again. This book looks like a fun and wonderful read…. would love to have a copy of my own. The cover also catches my attention,as well as the intro to what the book is about. I would love to visit Yomsemite Park. This book has been on my TBR list. Thanks for this giveaway! This book looks and sounds wonderful, would love to win thanks for the contest. I love your books Sarah so if you love this one I am sure I will, I look forward to readingg it. This looks and sounds wonderful would love to have a copy of my own . I have never read anything written by this author. This sounds like a great read! This book sounds really interesting. Thanks for the chance. Sounds intriguing, would love to read this. This series sounds fascinating and is on my TBR list. I grew up not too far from Yosemite and we spent many vacations there in tent cabins, so I am especially anxious to read this story. Thanks for your giveaway. Would love to win this book! I’ve read the first one in the series and enjoyed it greatly. Sounds wonderful! I have never read any of her books. Would love to try this one. Thank you! This sounds like a great story! Love the cover! I have never read this author. Sounds really good. Thank you. I love your books. Sarah, so trust your recommendation AND I love Yosemite, so this book caught my attention. Now it moves to my must-read list. Thanks for the opportunity to win it. And congrats on the graduations. Glad for the added joy in your world. I live here in California and love beautiful Yosemite. Thank you for this opportunity. Sounds like a great book! Can’t wait to read it! sounds so interesting! Congrats on the graduations! I Love your books Sarah so if this is a recommendation from you, I would love to have it I have to wait patiently for your next book. You are an amazing author. The book sounds like a good read. Thank you for this opportunity. I’d love to read this book. A story set in a national park sounds so intriguing!! This book sounds very intriguing! I would love to read this book, thank you for the opportunity to win it! Look forward to another fun adventure. I loved the first one in her National Parks series, and I’m looking forward to reading this one. I am so enjoying your books! I especially like the honor given to our military history and those serving & have served! Thanks so much ~ keep them coming. I absolutely love this series! I’m really enjoying how Karen brings these parks to life. Would love to have a copy of this one! I’ve been wanting to read this series, especially with its outdoor/national park setting! This sounds like a great book about a beautiful place! I’ve been hearing a lot about this book and would love to read it. Thanks for the chance. I have been wanting to read this. Thank you. I haven’t read this series yet but have read other books by Karen Barnett so I know it will be very good. Thanks for giving away your extra copy of Where the Fire Falls. Congratulations on your new contract! I’d love a copy, please enter me in the giveaway! I loved our family vacation to Yellowstone & Grand Teton several years ago, so it would be fun to read a book in that setting. This book sounds so good! It has been on my TBR list for sometime now. I would love to win a copy to read! Thanks for the opportunity! Thanks so much for the giveaway. I would love to read this book! I love all your books. this one sounds good. It reminds me of when my parents went on a horse back trip up the mountains in California. By the way he was in WWII., so your stories are especially of interest to me. Thanks for the giveaway! Love the cover of this book!! I would love to win the second book. Sounds like a great road trip book! Another great read that I’m looking forward to! I’m an avid camper! This sounds “right up my alley”! Beautiful cover. I would love to read this book. Thank you for this Giveaway. I would love to read/win it! The book sounds like a great book to read. Thank you for the chance to win one of Karen’s books. I would love to read this book! We’ve spent many wonderful days there! I am so glad I picked up one of your books years ago as I have thoroughly enjoyed every one of them. And shared with my readaholic family. We are so looking forward to reading your next books and now maybe one you have recommended. Well, I haven’t won anything yet! 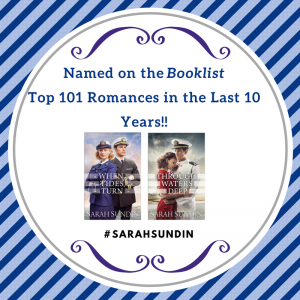 You are my favorite author and would love to read anything on your list 😉 Congrats to your daughter and her hubs. Excited to hear about your new books and have been wanting to read these National Park books. This sounds like a “can’t put it down” for me! This sounds like a great book – one I wouldn’t be able to put down! Sounds like a fantastic read! The backstories of both of the characters plus the setting are so intriguing. I’d love to fall into this story. Looks like my kind of novel! Thanks for sharing! Sounds like a perfect read for me! I would love to read this summer! I still can’t believe I haven’t read this one yet! I should check my library…. Sounds like it should be a fun read. I love the cover! Count me in, and thank you for the opportunity! Thanks so much for the chance to win! This sounds great! I have the first book in the series, but have not yet read this one. Must have ALL the books! 😉 I’m currently reading The Sea Before Us, btw, and love it! I’m about 3/4 through, and it’s one of the best books I’ve read all year. So excited to hear about your new contract – congratulations! Thank you for the chance to win! Blessings! LOVE your books and enjoy your recommendations for other authors to read!! This sounds like two hurting people and I would like to read the book to see what happens. I’ve visited Yosemite, so I can picture the scene. 🙂 Sounds like a touching story. This sounds like a great read with interesting characters. I’ve added to to my TBR list! Wow, this book sounds really interesting. Our family went to Yosemite 36 years ago, we went in a motor home with our 6 children ages 15 to 18 months. Was exciting! I’m always looking for a great read. Exciting to hear about your new contract. Sounds very interesting the concept you have, can’t wait to read. I always enjoy a book with “majestic scenery, intriguing characters, and a delicious romance”! It’s cool you put into words what those that know our history and had love ones living thru that. The stories, the sketches when pictures weren’t possible. Lives lost lives won. Heartbreak, homecomings, memorials. True love back then existed ya didn’t go a day or week not hearing their voice, seeing their face, you went months possibly years hanging on to memories, whatever letters got thru. Those couples that succeeded in real love should have gotten medals. So for you to write an amazing book, bravo. Never stop doing what you love girl, cause other people love it too. I am SO excited to hear about your new books. Blessings to you as you write. I don’t think I’ve ever read any of Karen Barnett’s stories, but I’m interested. 🙂 Thanks for the giveaway, Sarah! I love National Parks and historical fiction, so really want to read this book! I enjoyed your blog post. I’ve been wanting to read this one! Thank you for the chance. I’M hooked would love to read this!!! I also love historical fiction and would leave you feedback on goodreads! I visited Yosemite and it was amazing! I think it would be great to read this story as it would be like re-visiting the park but through great characters and a wonderful story! always up for a new author! Sounds like an interesting book. Love to read. I used to live in California, and we went to Yosemite once and it is so very beautiful! I would love to win this book! Thank you, Sarah, for this chance. This book looks fascinating and I love the vintage cover design! I would love to read it. Sounds great. Good luck to everyone. This sounds like a great read! Thanks for the chance to win! Best national park is Yosemite in the early spring when the snow is melting. Stunning water falls.